CIRCLE OF LOVE – Franchises for Sale – HOME BASED. Find all the latest franchises for sale all around Australia at Inside Franchise Business. 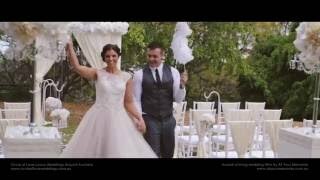 Circle of Love was established in 2010 and since then has become one of the fastest growing wedding coordination and decoration franchise system available in Australia. The Circle of Love Franchise System focuses on Wedding Ceremony management and decoration, including indoor and outdoor ceremonies, both religious and civil, in a range of venues including beach, park, garden, chapel and church. We have recently added new services including Reception Styling, Vow Renewal, Elopements, Baby Naming and Special Events. Circle of Love is a service homebased franchise – the fastest growing franchise sector in Australia. A ‘Business in A Box’, including website, admin materials, established branding etc. Circle of Love is looking to take our brand further around Australia.